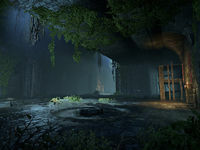 Harena Hypogeum is the section of the Imperial Sewers closest to Ebonheart Pact territory. It contains the Ebonheart Pact Base and allows access to the Memorial District and Arena District. 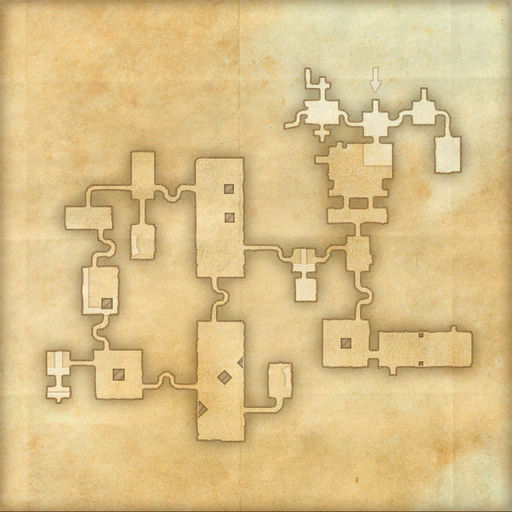 It connects to the Antediluvian Vaults in the southwest corner, and also contains an entrance to the White-Gold Tower group dungeon and the Ancient Underground. Ebonheart Pact Base — Located at the northeastern end of the sewer. Ladder to Arena District — Located in the northern part of the Buried Artifact area. Ladder to Memorial District — Located in the southeastern part of the Buried Artifact area. Xivkyn lord Wadracki searches for a long forgotten power. Dungeon: White-Gold Tower — Located just outside the Ebonheart Pact Base. Harena hypogeum could be translated to mean "arena crypt" in Latin, likely referring to the Arena District above.